lanket for your home, providing instant comfort and warmth when you come in contact with it. The hydronic underfloor heating from The Heat Shop is a popular option for those in the market for heating as it offers greater usage of space and is super comforting on a cold day. Hydronic floor heating uses a network of cross-linked polyethylene pipes laid in the floor throughout the house. Warm circulates around the pipes to ensure an even distribution of heat which radiates up through the flooring. 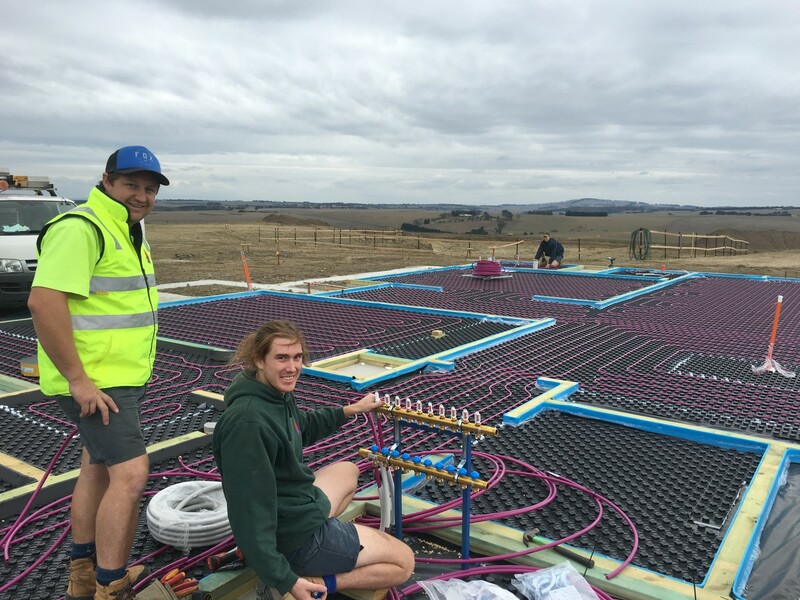 This hydronic heating method differs from the electric underfloor heating systems we also offer at The Heat Shop Yarraville and Geelong. Underfloor heating is extremely adaptable. The Heat Shop can install hydronic slab heating in both old and new buildings under a range of different floor coverings, i ncluding timber, carpet, polished concrete, tiles and more. There’s also the option of installing the hydronic heating system in the walls or ceiling. Hydronic underfloor heating is extremely safe, energy efficient and environmentally friendly. It’s also a great option for allergy and asthma sufferers as there’s minimal air movement within a room, reducing traveling dust particles. Visit The Heat Shop Yarraville or The Heat Shop Geelong to discuss hydronic heating options, including how hydronic underfloor heating compares with using hydronic panel radiators for heating your home. You will also find a great range of other heating solutions at our Yarraville and Geelong stores to consider.